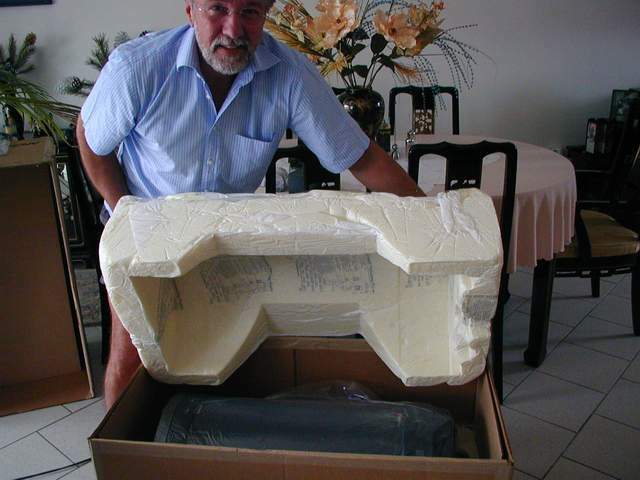 ON March 3rd 2003 my long awaited C14 arrived from the US. Here the images about arrival and unpacking and "first light". Now also the Gemini G41 mount with the new Pulsar "Goto" Controller has been arrived. So, the testing of C14 and G41 can start. 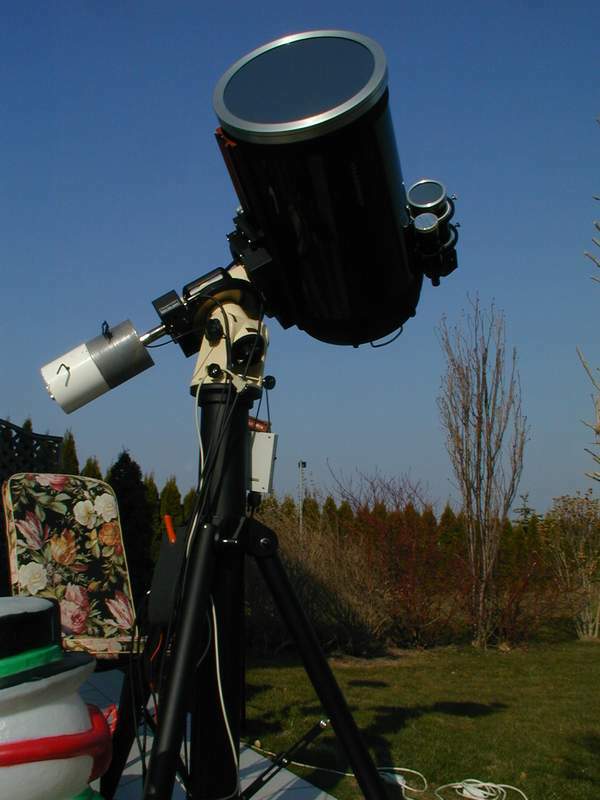 The weather is very good and i will be ready with my equipment for our Astroexcursion to the Emberger Alm in Carinthia. Here some images of the new combination in my garden. the right GOTO coordinates for Sun, Planets and NGC objects. These tables work perfect on my Pulsar 2.44 and Gemini 41.
properly on your controller and mount. The use of these tables IS AT YOUR OWN RISK!!!!!!! 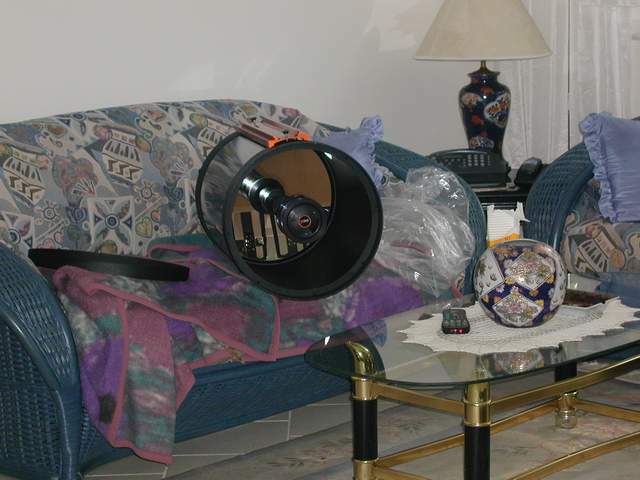 has all 7840 NGC objects in it with coordinates and Dreyer description. Download to your PC and load afterwards with Pulsar SW into the Pulsar NGC Table. the Pulsar Handbox with the respective number in the NGC table. has all 5386 IC objects in it with coordinates. Download to your PC and load afterwards with Pulsar SW into a Pulsar Table. the Pulsar Handbox with the respective number in the IC table. has 910 Planetary Nebulae objects with Equinox 2000 cordinates in it. the Pulsar Handbox with the respective position number in the PK table. has coordinates of Mars, Jupiter, Saturn, Uranus and Neptun in it. Timeframe July 1st 2012 until October 8th 2012. Coordinates are for 23:00 UT. Download to your PC and load afterwards with Pulsar SW into the Pulsar Pk (User1)Table. 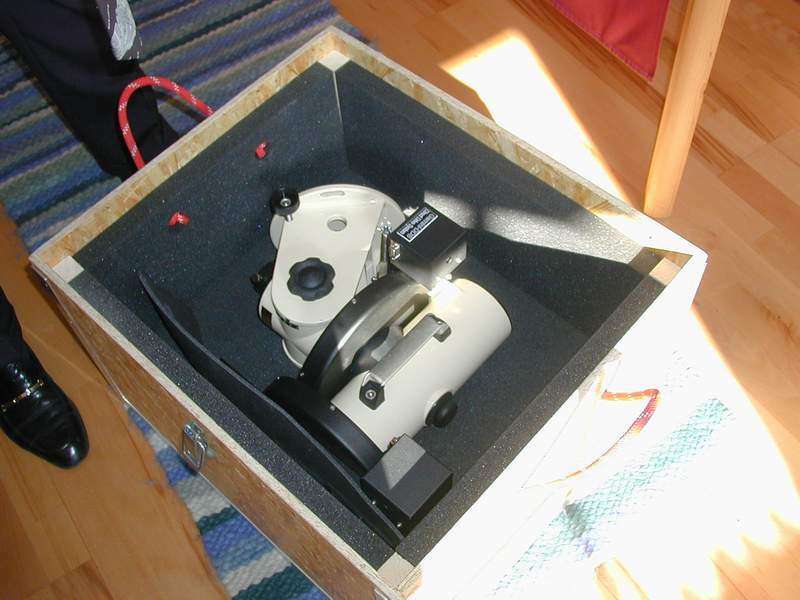 the Pulsar handbox from Pk (User1) table. Has VENUS instead of Neptun !!!! 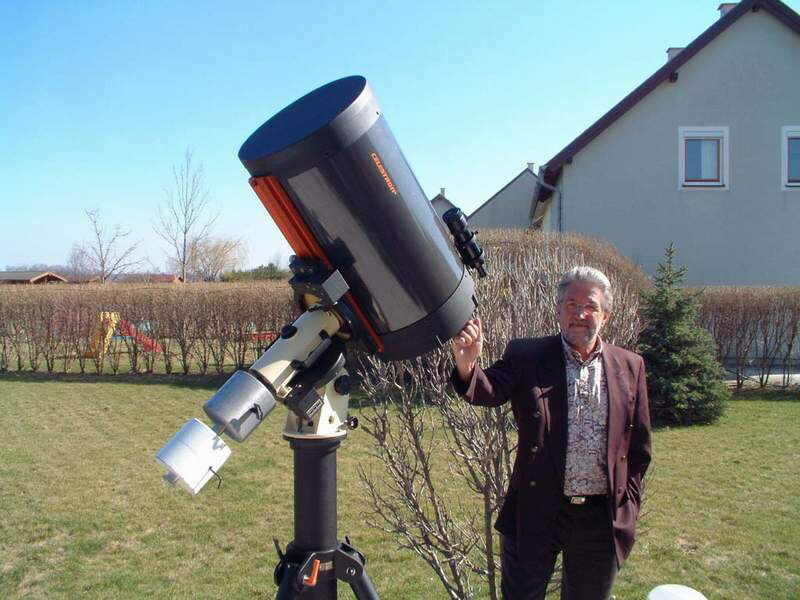 has coordinates of Mars, Jupiter, Saturn, Uranus and Venus in it. You can either load V1 or V2 into the Pk (User1) table, depending if you prefer Venus over Neptun or vice versa. has coordinates of the Sun for all days in 2012. Coordinates are for 11:00 UT. Download to your PC and load afterwards with Pulsar SW into the Pulsar "User" Table.